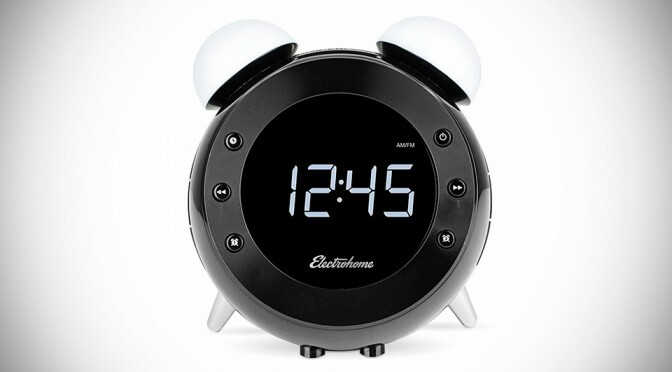 We are way into 2015 and as far as being futuristic is concerned, we are far from it, but there is at least one item you could own that would help inch closer to a high-tech, futuristic living and that’s the Retro Alarm Clock Radio by Electrohome. While digital display clad in a retro design looks seemingly today, gesture control to activate the night light and to snooze the alarm does sound a little more, well, futuristic, if not by a lot. 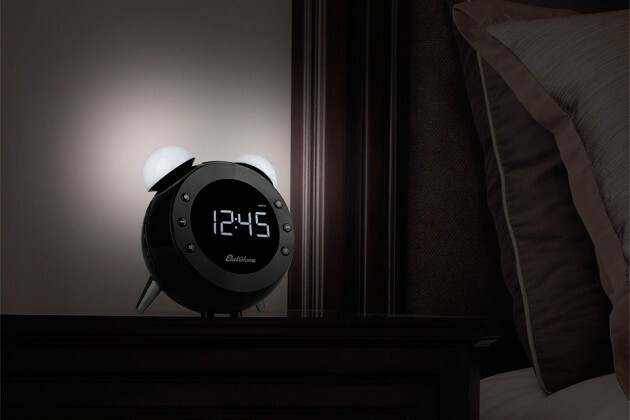 Inspired by dual bell-equipped retro clock, Retro Alarm Clock Radio has a pair of LED lights where the bell ringers supposed to be. 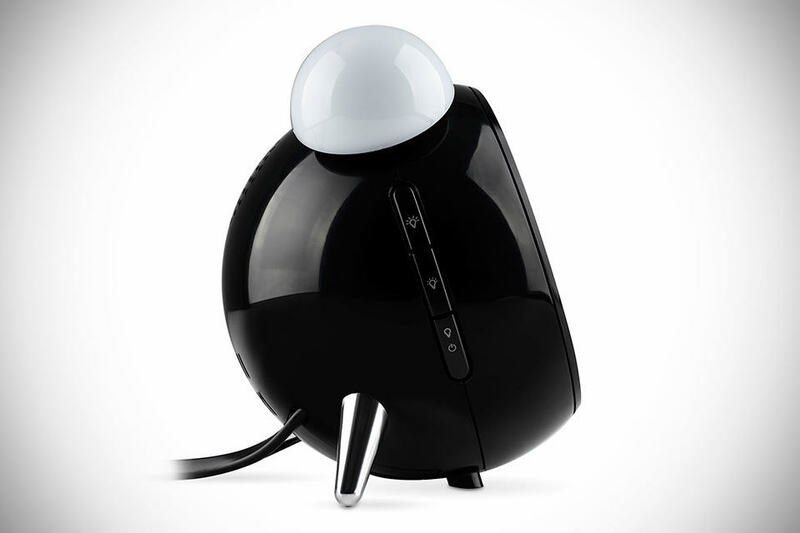 These lights serve as a handy nightlight, which you can turn on and off just by waving over the clock. The same gesture can also use to activate the snooze feature for times when you need an extra five minutes. Furthermore, the lights will gradually brighten as your set wakeup time approaches, thereby creating a soothing glow to welcome you to a brand new day. And did we mention that it also feature automatic time and date setting too? Just hook this little fella up with the wall outlet and the time and date will be displayed. But that also brings us to a caveat: it needs to be plugged in, but there’s a backup battery to keep the clock ticking in the event of outages. There is also a SelfSet technology, allowing you to set up Daylight Savings Time, which will adjust each spring and fall. 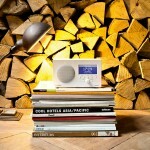 In addition to time, the dimmable display also lets you in on the calendar and indoor temperature too. Other features include programmable dual alarm with weekend cancellation, option to wake to buzzer or radio, and convenient sleep and nap timers. 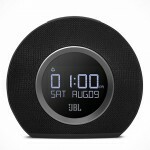 With so many tricks up its sleeve, you may think that the Retro Alarm Clock Radio will cost quite a bit. Surprisingly, it has a retail price of just $34.99. While it is affordable, it is probably not like those vintage stuff that you can throw against the wall to silent the awful, morning shrieks.